How fast could a SaaS business grow on paid acquisition? If the business decided today to sprint and acquire as many customers as possible? We can model it with some assumptions, some of which are quite aggressive. Let’s take a startup with $1.2M on the balance dedicated to customer acquisition. Assume a $10,000 CAC, an 80% gross margin and a payback period of 12 months. We’ll assume customers begin to pay the month after they sign up, and all this math implies customers pay a monthly fee of $1042 ($12,500 ACV over 12 months). Assume zero net churn and no impact of the crush of new customers on sales or support. To maximize revenue, the startup should spend all of its customer acquisition dollars in the first month. We’ll also assume all sales cycles close within the month. Here’s a basic financial model that compares the growth rate of two scenarios: spend all the money in month 1 vs spend the money ratably, $100k per month, over the 12. And here’s a quick summary. The Up Front spending plan generates 33% more revenue and exits the year at more than 92% larger ARR. But the business is growing at a slower rate. But because of the sudden influx of customers in month 1, the growth rate is less. Law of large numbers working against the plan. IC stands for initial contribution of marketing spend ($1.2M in our example above). MRR is the monthly fee of each customer. CAC is the total CAC and n is the number of periods you want to calculate, in our case, 12. This example is purely theoretical and they ignore many key practical realities of slower customer sales cycles, hiring people, customer churn, delayed payment cycles, customer support burden, constant CAC and many other factors. 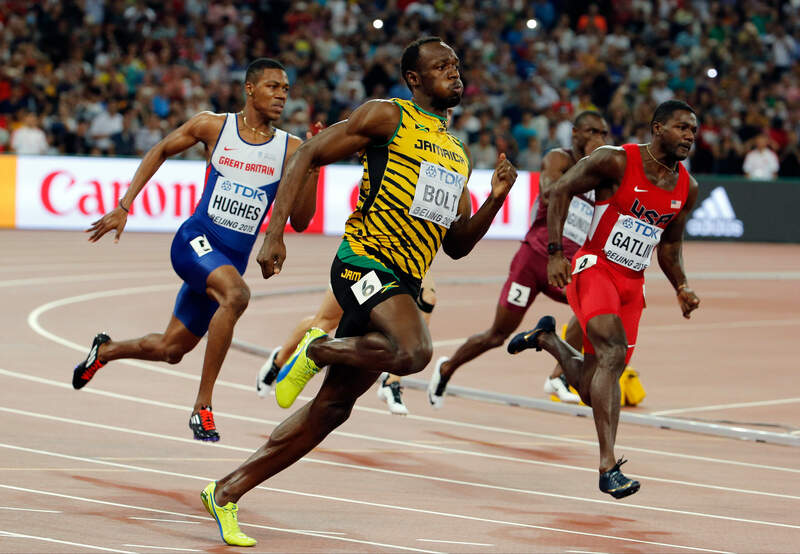 This is the Usain Bolt way to grow a SaaS startup: all out, all the time, and loads of confidence you’ll do it right the first time. Most startups pursue a metered marketing approach rather than an all out approach to distribute their risk. If the initial marketing message isn’t perfect, you’ve wasted all your marketing spend on month 1 and have no recourse. The models do show that the metered strategy can be a very successful strategy, yielding terrific growth at 19% monthly at the end of 12 months. The key difference between the two strategies is that ARR is about $1.2M less each month, a gap that remains roughly constant over this twelve month period. In exchange for smaller ARR and revenue, the more conservative plan provides the startup an ability to ramp employees, hedge marketing strategies over time, and much more optionality.